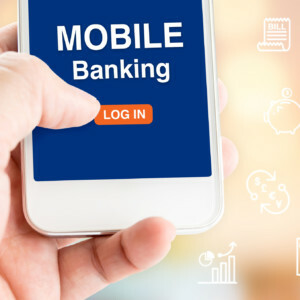 Mobile banking continues to grow in both usage and importance for financial institutions and, more importantly, their account holders. So much so, that it has become a requirement when account holders, across all life stages and segments, are looking for the right financial institution. In reality, “all things digital” is a growing focus for financial institutions as demonstrated by the recent announcements from some of the largest financial institutions, like Wells Fargo®, BBVA Compass® and Capital One®. These businesses are acquiring and investing in digital design firms and tech companies outside the financial services space. They are looking for ways to improve their account holders’ experience especially regarding the use and functionality of banking apps. Retailers like Starbucks™ continue to expand their mobile app’s capabilities, and consumers are responding. Starbucks’ mobile app now averages more than eight million weekly transactions by more than 120 million customers. This equates to 19 percent of the overall sales.1Starbucks is going to roll out mobile order-and-pay nationwide in 2015, which allows customers to pre-order and pay for drinks before getting to the store. The mobile app along with the “My Starbucks Reward®” club, prepaid Starbuck cards and in-store promotions is creating a mobile ecosystem. Many mobile experts believe Starbucks will leverage geo-targeting to create more relevant, one-to-one customer engagement with the goal to increase customer loyalty and revenue. Developing this new technology comes at a cost, and financial institutions need to quantify the value of these investments. They are struggling to develop strong mobile ROIs especially when it comes to measuring account holder loyalty and engagement. 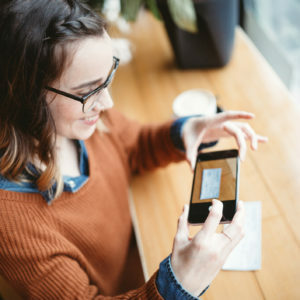 While financial institutions struggle to connect the revenue dots, we know that “mobile life” is becoming more of a reality. 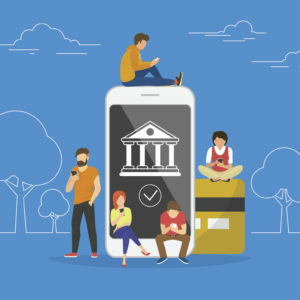 This reality is causing financial institutions to invest and increase usage of their mobile apps in order to compete and hopefully drive revenue. 1. Wolfe, Daniel. (24, April, 2015). “Starbuck’s Mobile Pay Updates Win Over New Audiences.” The American Banker. 2. (October, 2014). “Moving Targets, Shifting Metrics The State of Mobile.” The American Banker.